A prepositional phrase is a series of words beginning with a preposition and providing additional information in a sentence that pertains to position (hence the word preposition) or relationship; the phrase “with a preposition” is itself a prepositional phrase. Though such phrases are not inherently undesirable, they are often easily avoidable contributors to compositional clutter. 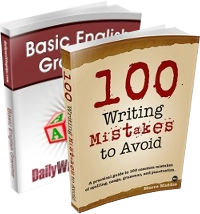 This post lists and describes five strategies for eliminating prepositional phrases by omission or alteration. 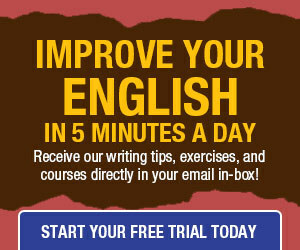 Just as conversion of a nominalization into a verb can render a prepositional phrase unnecessary, such a phrase can be eliminated by changing an adjective to an adverb and further revising the sentence accordingly: “Jane stared at him with a quizzical expression” becomes “Jane stared at him quizzically” (or even, by omitting the sentence’s other prepositional phrase, “Jane stared quizzically”). Many times in thinking and in writing, “First things first” is an important concept and important practice. A. Perhaps “The action” (whatever it was) is the most important item in the whole sentence, and in the whole discussion; hence put it FIRST. Perhaps whoever did the “observing” is completely secondary or tertiary. Maybe we do not give a hoot who did the observing. “First things first” is often an important concept and important practice. On the other hand, in “elevated discourse” there is the concept of the “periodic sentence”. In one of these, the crux of the sentence is delay as much as possible to the end. When the time arose, one of the masters of this was Winston Churchill. “The Few” were the fighter pilots who defended the United Kingdom for the aerial blitz of the Nazi German Luftwaffe. It is important to know that those scarce pilots were not entirely British. A high percentage of them, and the best of the best, were Canadians, New Zealanders, South Africans, Irishmen, and even Americans, and with a sprinkling of Aussies, Belgians, Czechs, Danes, Dutchmen, Frenchmen, Greeks, Kenyans, Norwegians, Poles, Rhodesians, and Tanganyikans (Tanzanians now, since Zanzibar is included in that country). At the time of the Battle of Britain, the United States was officially a neutral country, and so the U.S. Army Air Forces were not involved. Still, this did not prevent some American volunteer airmen from joining the Royal Canadian Air Force or the Royal Air Force and hence going to Britain to fight on the side of the British (over England and Scotland, mostly). If there were any obstacles, they could just pretend to be Canadians. Also, all the way through World War II, the Republic of Ireland was a neutral country. Ireland even had diplomats in Berlin, Rome, etc. This did not prevent many, many Irishmen from volunteering for the British Army, the Royal Air Force, and the Royal Navy to help defend Britain, invade France & Belgium, and invade Nazi Germany.